Looking for a budget accomodation in Milan? becoming a part of it also entails an experience of integration and social innovation. 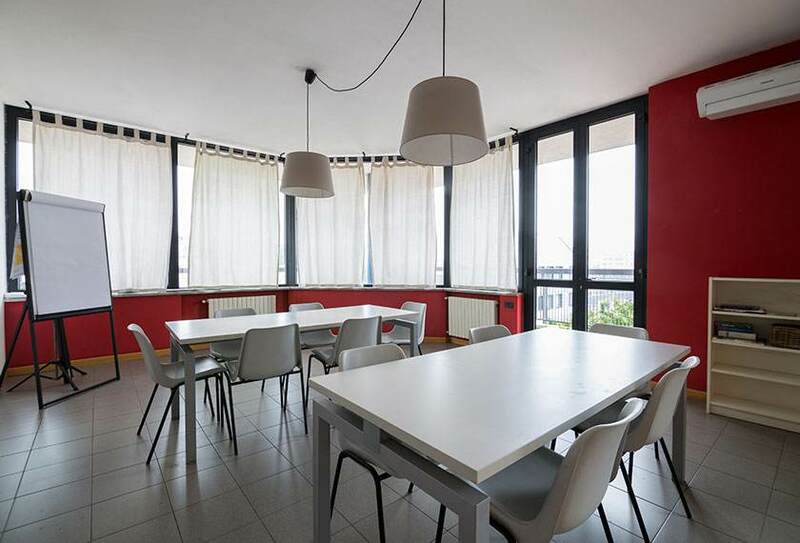 Convenient and hospitable in the southern part of Milan, Zumbini 6 welcomes its guests in a modern and functional facility perfect for a stay for study, business or pleasure. 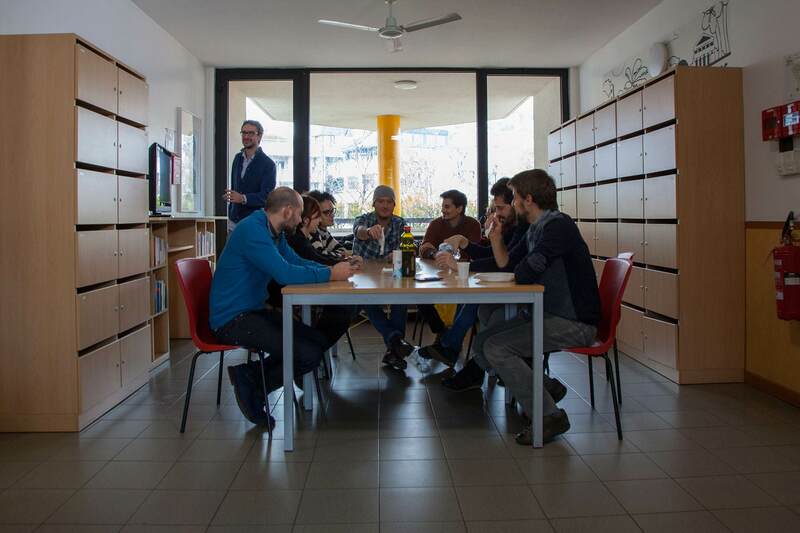 Zumbini 6 welcomes people and families experiencing temporary housing difficulties, thus creating an environment where different people come and meet, living together in an open, multicultural reality. 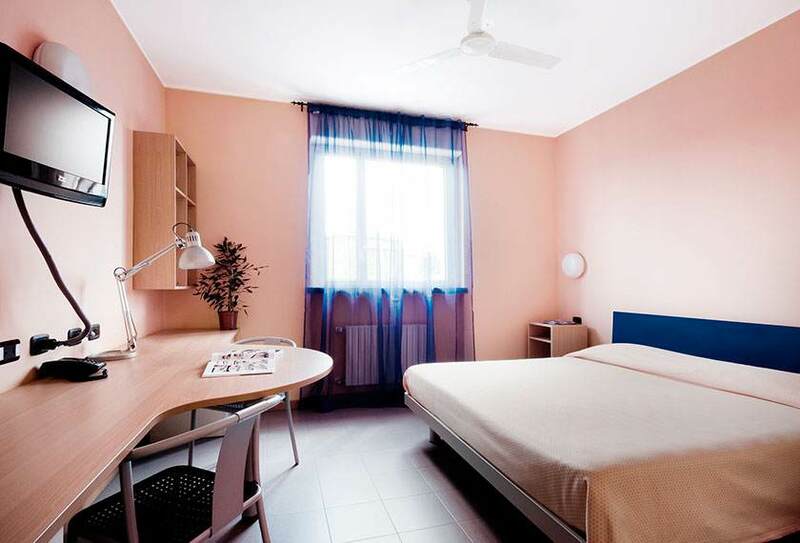 Zumbini 6 has a total of 66 accommodations divided into single, double, triple and quadruple rooms. 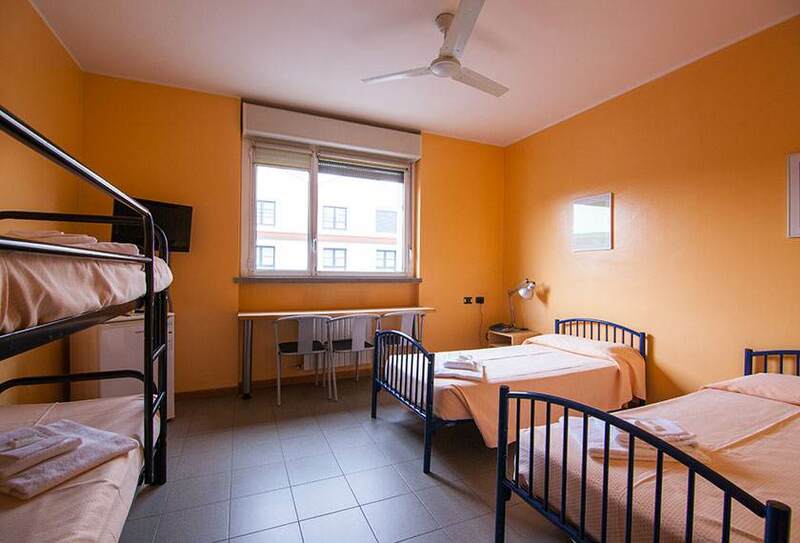 All of the large, bright rooms have a private bathroom, providing a multitude of amenities and services for short or long-term stays in Milan. 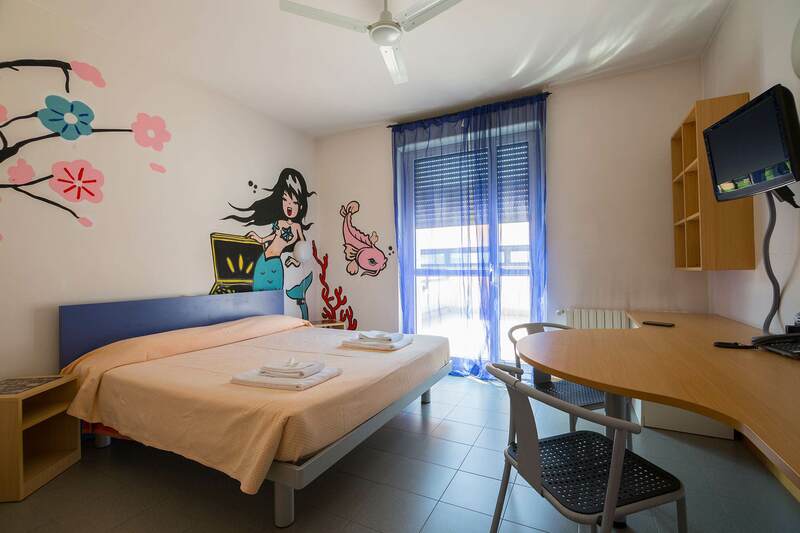 The B&B solutions, only over night stays and bed in a shared residence hall meet the needs of the guests with utmost quality, whatever their budget. Garden side rooms or with park view. 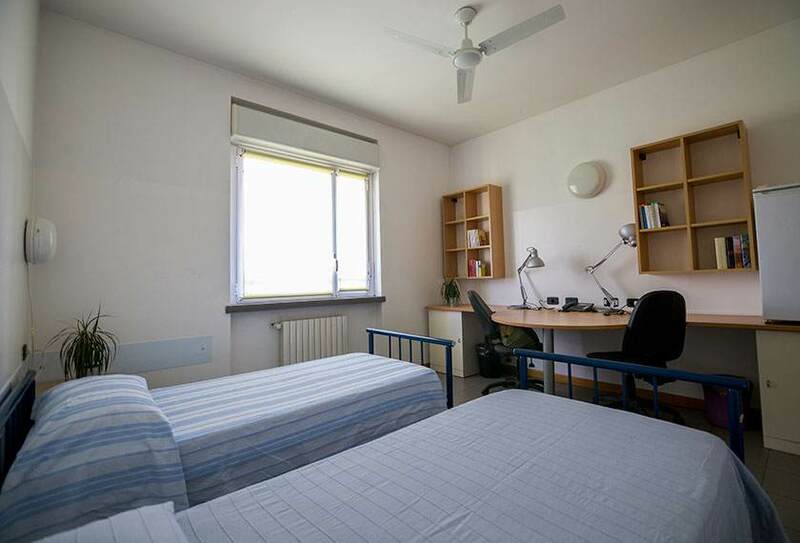 Double rooms facing the garden or with park view, with double bed and a private small terrace. 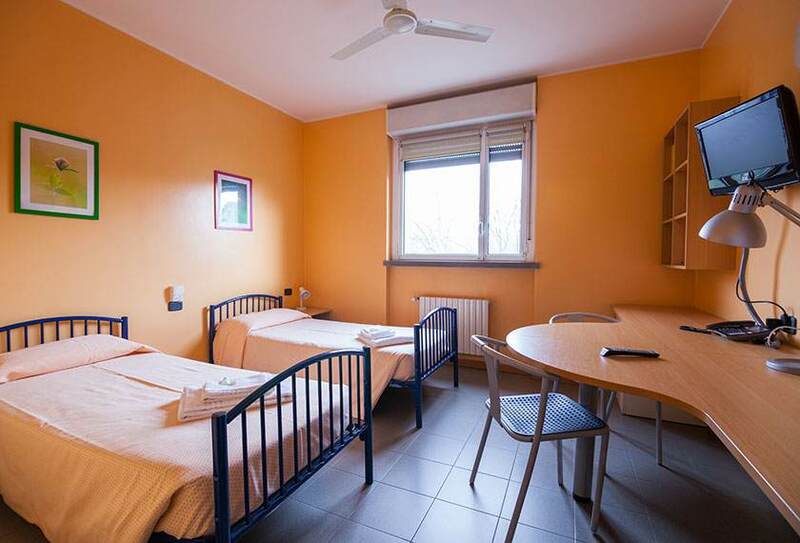 Room with two single beds, facing the road or the internal garden, with park view. 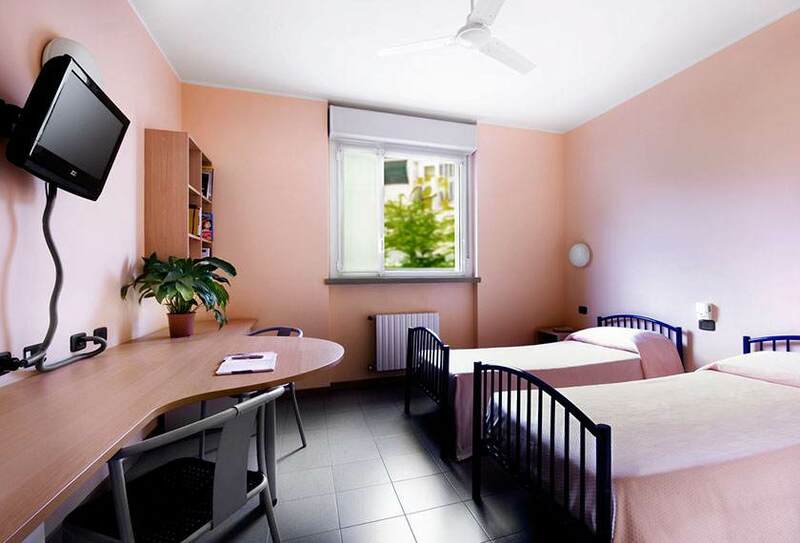 Room with three single bed, facing the garden. 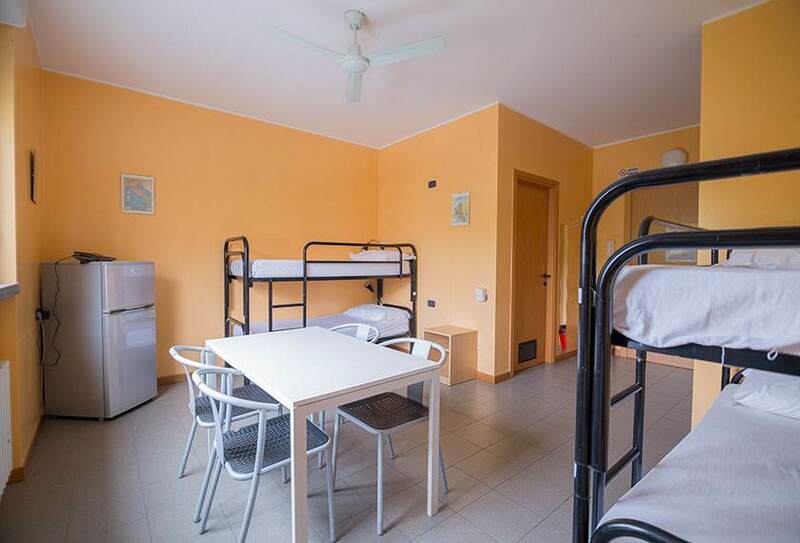 Room with 2 single beds and 1 bunk bed or with 2 bunk beds, facing the road. 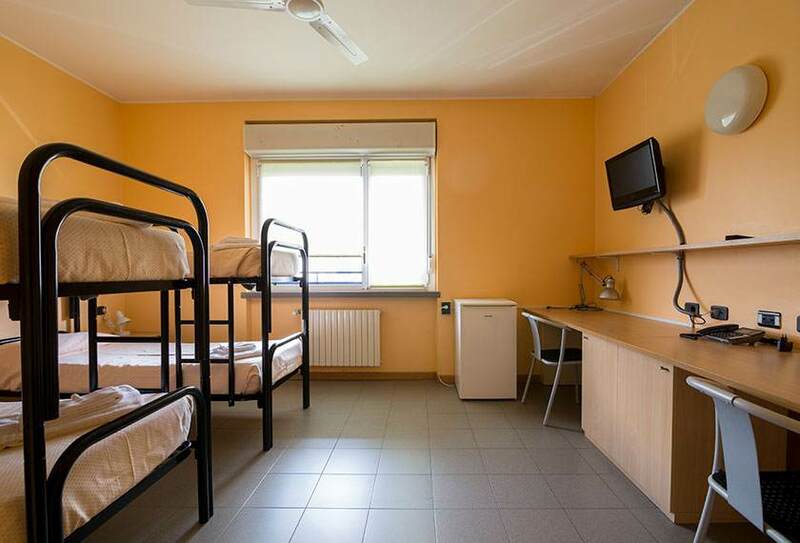 Beds arranged in shared rooms with 4 beds and internal bathroom. 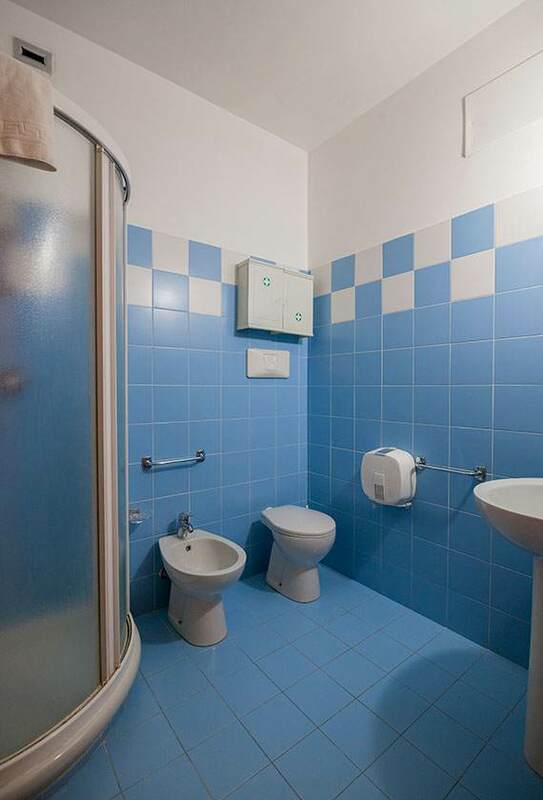 Male and female shared rooms are available. 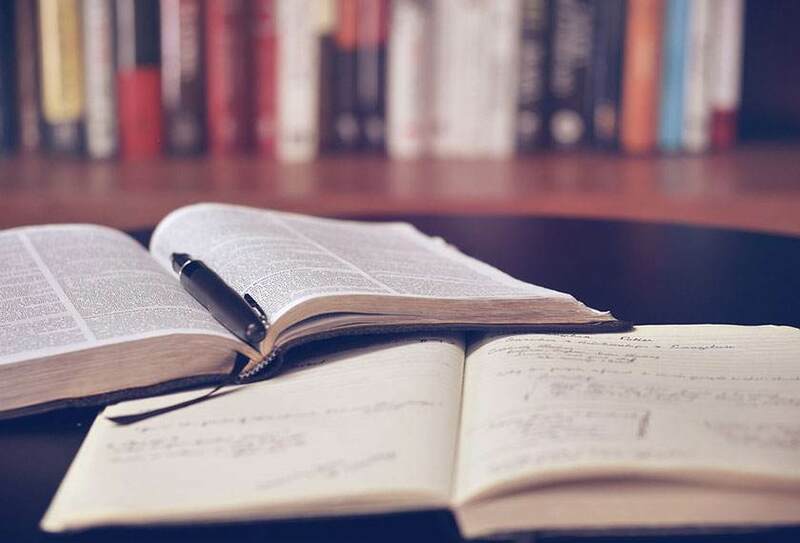 Weekly and monthly rates in a Residence formula are available for study stays (students and teachers) and business stays. A dedicated rate formula for students who need to stay a full academic year is also available. 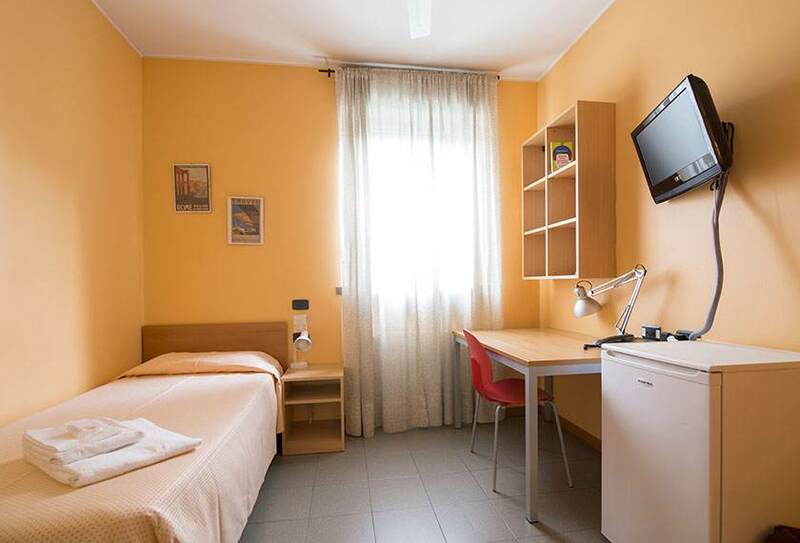 Modern and functional, Zumbini 6 has all the comforts and services useful for a short or long stay: this very recent facility was designed and created to make people meet, satisfying the needs of guests staying in Milan for studying, business or pleasure. 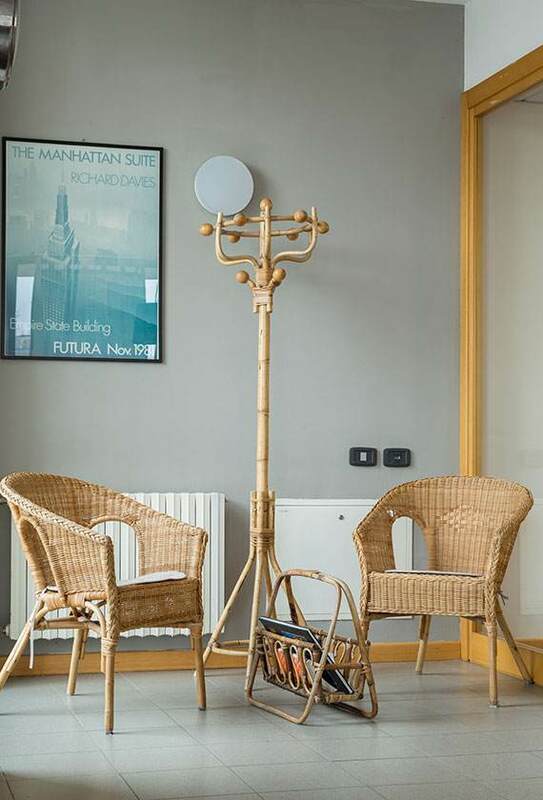 Garden, bar, kitchen, TV room, breakfast room and several terraces are the public areas of Zumbini rooms, all warm and functional to ensure guests have a pleasant stay in Milan. Various book crossing points and a cultural exchange corner provide quality amenities in line with our way of understanding hospitality. 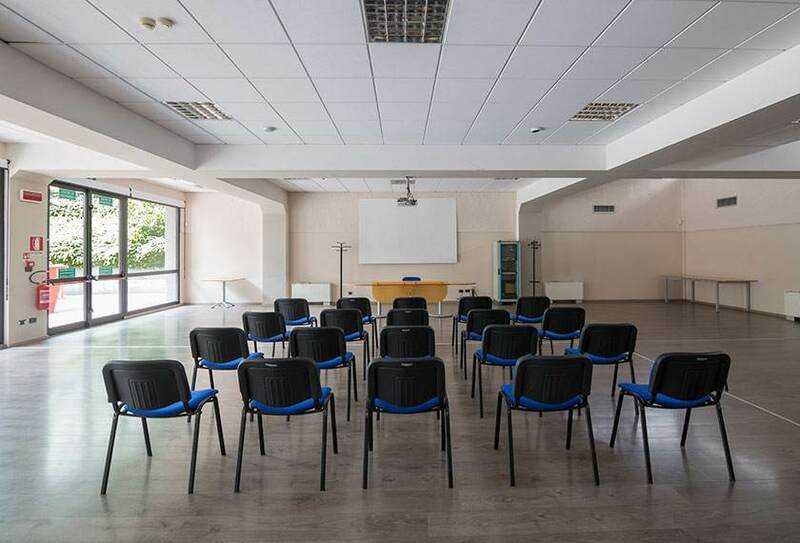 The auditorium is perfect for those looking for an area to organize presentations, training courses, corporate events and more. With wood flooring, video projector and sound system, it can accommodate up to 90 people and is characterized by the flexibility of the equipment provided. 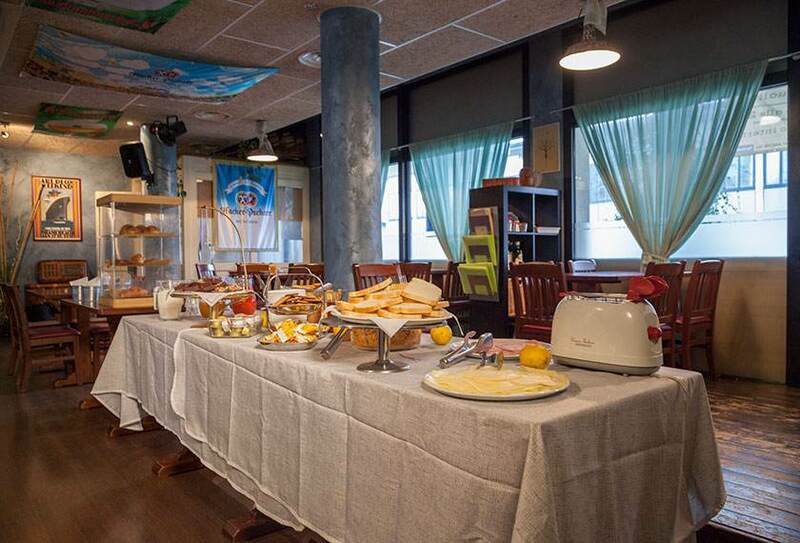 For a coffee break or a buffet, the Càoté service is available for a tailor-made catering. 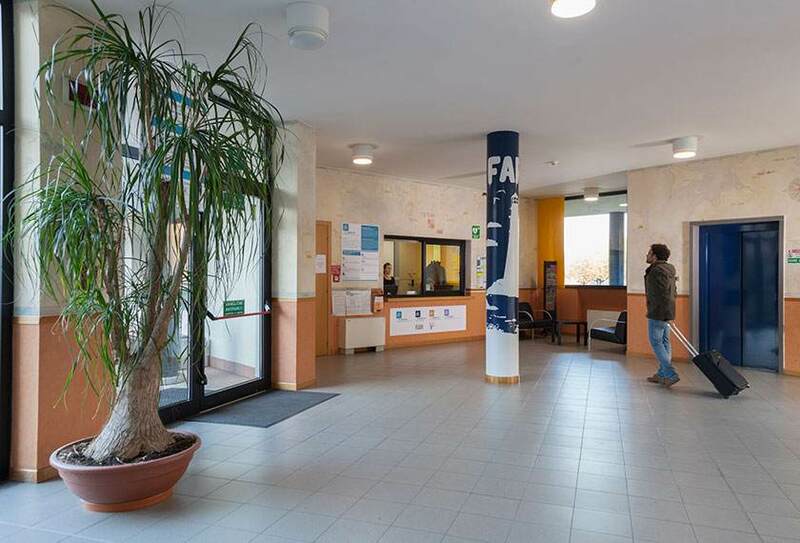 Guests arriving by car will find ample free parking areas in front of the facility, whereas indoor garage parking is available for a fee; for bicycles, an indoor area is available entirely free of charge. 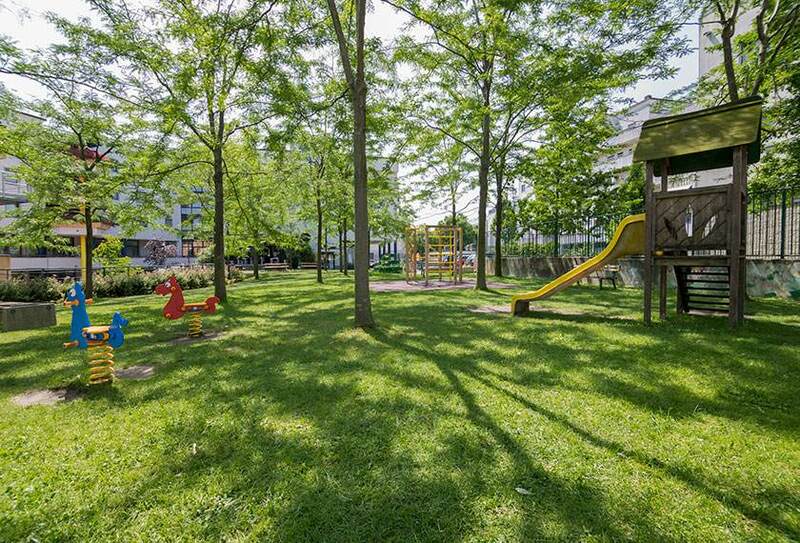 Our guests can relax away from the hustle and bustle of the city, in the large internal garden with a play area for children. 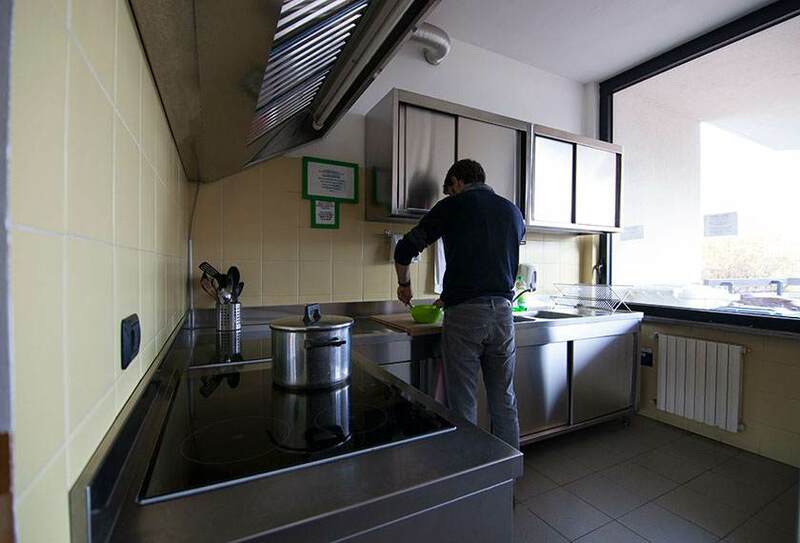 In the southern part of Milan, Zumbini 6 is in a privileged position for conveniently moving around the city with public transportation or by car, ideal for reaching Milan's universities, the trade show area (Fiera), Milan's hospitals, Assago Mediolanum Forum and historic center of Milan. The Milan expressway is easily accessible from Zumbini 6 in about 10 minutes. 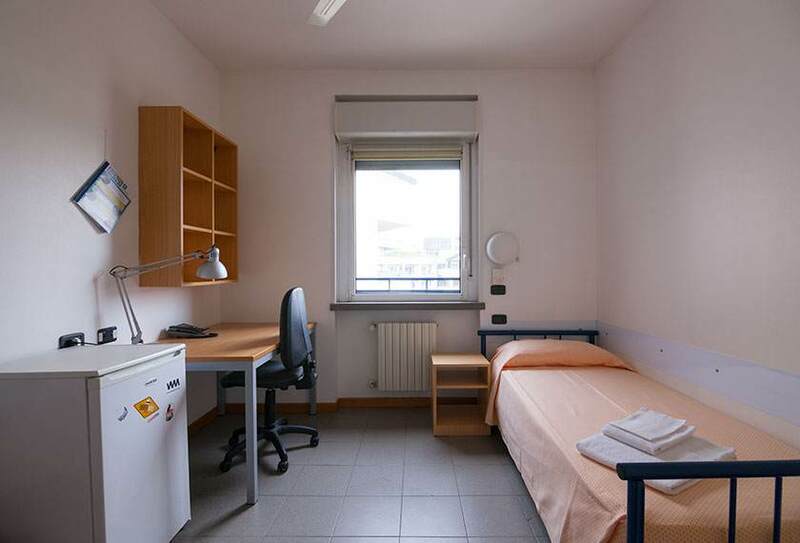 in 4 stops you can take the express train to Malpensa International Airport. Located about 15 minutes away by foot from the Tram 2 stop. 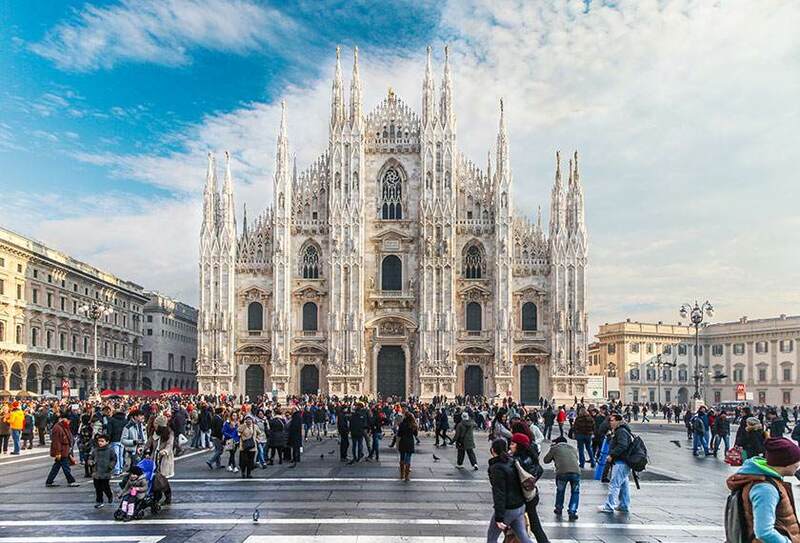 A 25-minute tram ride will take you to Piazza del Duomo. 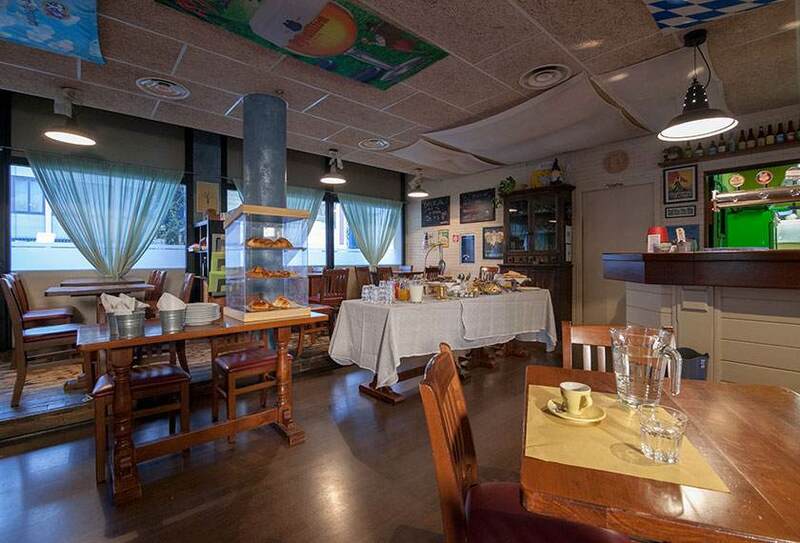 Parco Agricolo Sud is about a 15 minute walk away. An area where to enjoy pleasant strolls, surrounded by lush vegetation, away from the hustle and bustle of the city. 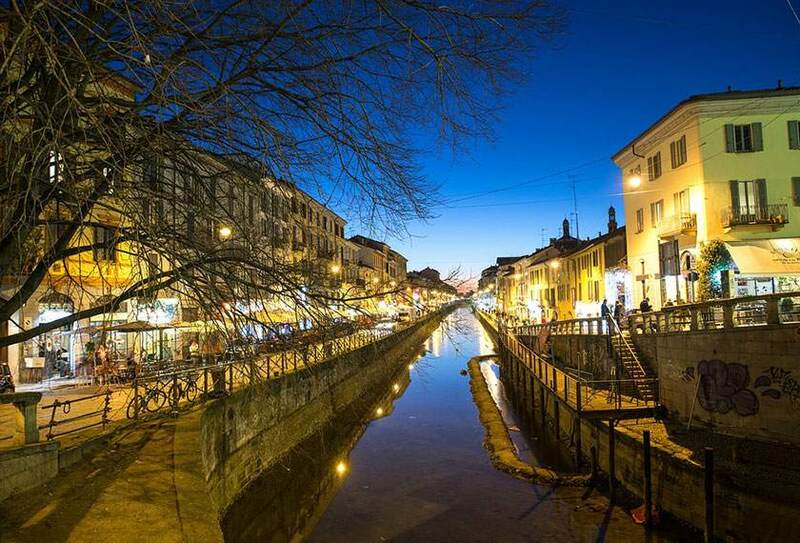 The Alzaia del Naviglio Grande is only a 15 minute walk away as well. This 50 kilometer pedestrian/bicycle path still preserves the historical memory of the area and an intact vegetation. Tortona district is 2 km away: in about 20 minutes by foot you are in "Fuori Salone area" during the International "Salone del Mobile". 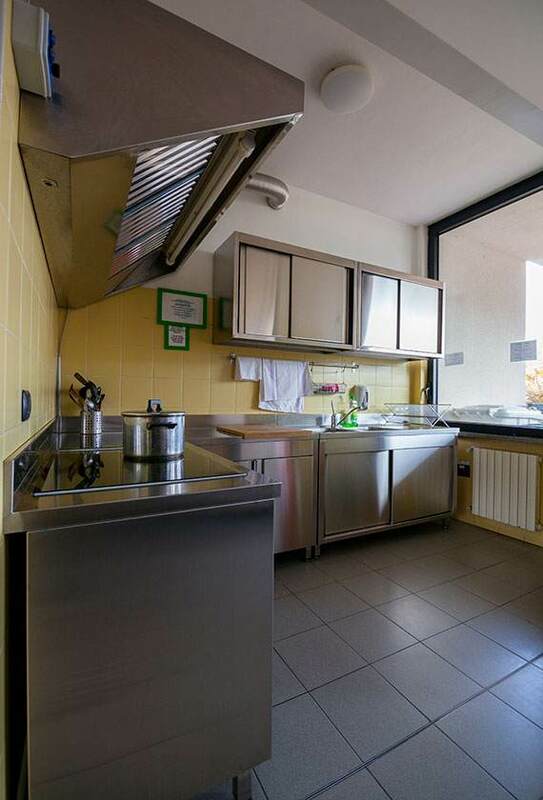 Porta Ticinese is 30 minutes away by foot. 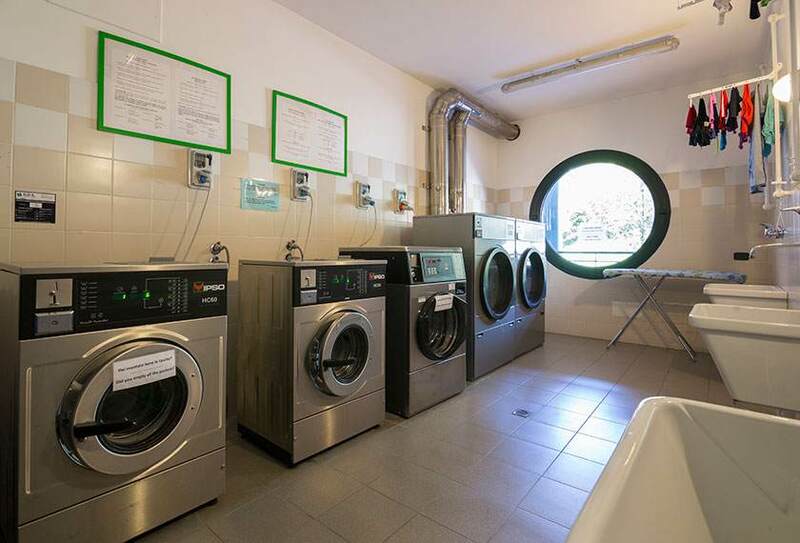 Here you can directly reach the Darsena and it's a stone's throw away from vicolo dei Lavandai, Parco delle Basiliche and Colonne di San Lorenzo. 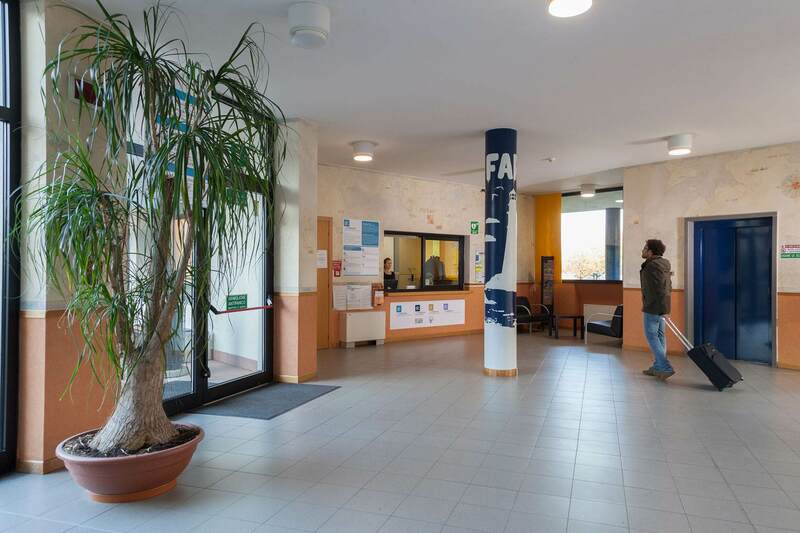 S. Paolo Hospital is 18 minutes away by foot (you can also reach the hospital with bus line n°71. The bus stop is 500 meters from here). 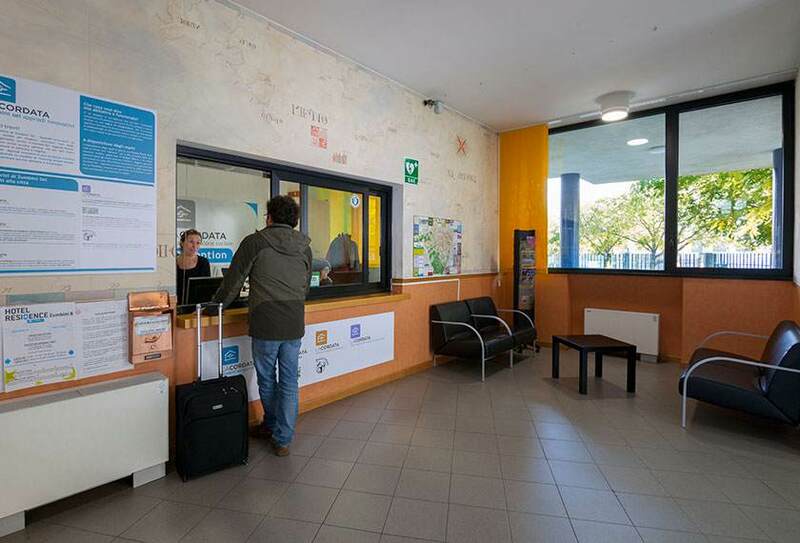 Take one of the shuttle buses for Milano Centrale train station and continue as in By train. You can also take bus no. 73 and get off at the Corso Europa / San Babila stop. From there take the MM1 (red) subway line towards Bisceglie / Molino Dorino and get off at the Cadorna stop, change and continue with subway line 2 (green) for Famagosta / Abbiategrasso and get off at the Romolo stop. From there take bus no. 47 for 2 stops and get off at the beginning of Via Ettore Ponti. Walk back a bit to Piazza Bilbao, take Via Santander and take the first right (Via Svevo), then turn right again on Via Zumbini. 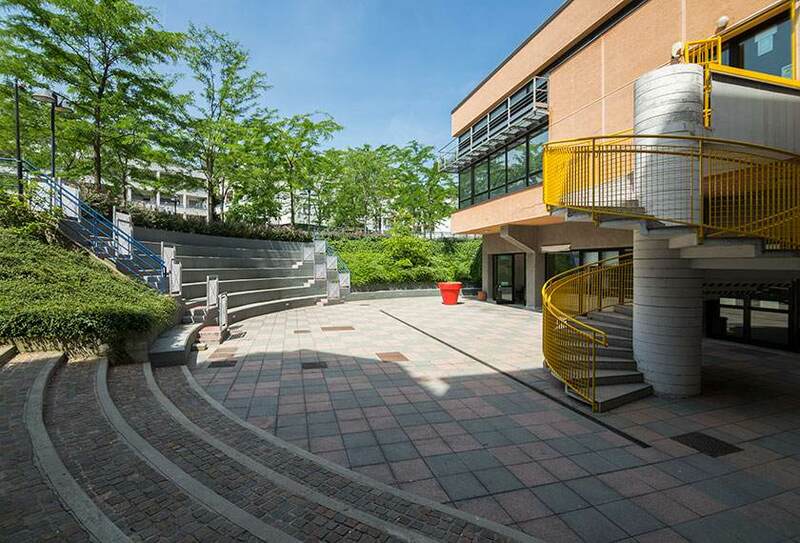 You have arrived: Zumbini 6 is at n°6, near yellow columns. 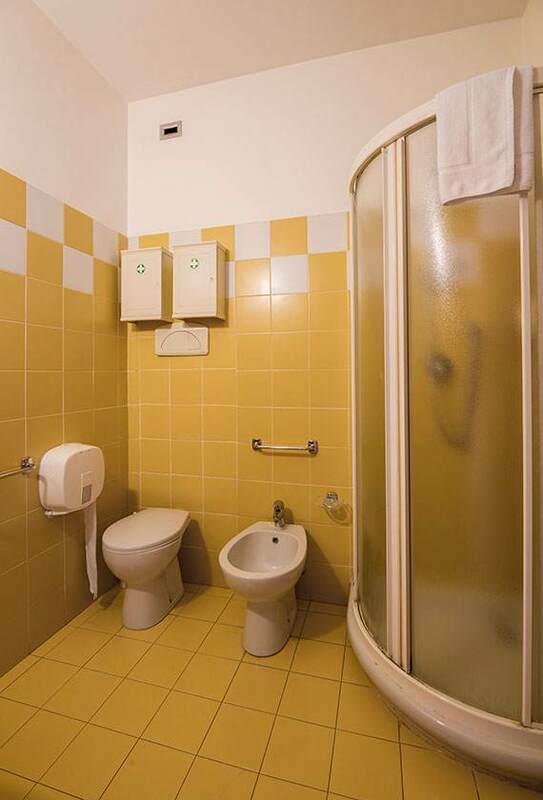 Take the Malpensa Express train and get off at the Cadorna stop. 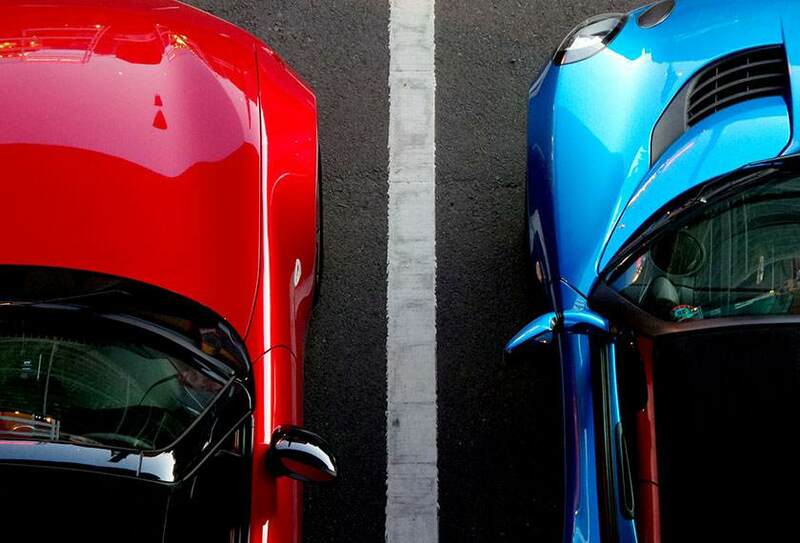 Follow directions above. Take one of the shuttle buses for Milano Centrale train station and continue as in By train. From Stazione Centrale take the MM2 (green) subway line towards Assago / Abbiategrasso and get off at the Romolo stop. From there take tram no. 47 for 2 stops and get off at the beginning of Via Ettore Ponti. Walk back a bit to Piazza Bilbao, take Via Santander and take the first right (Via Svevo), then turn right again on Via Zumbini. Zumbini 6 is at n°6, near yellow columns. After the Milano Ovest toll booth, continue on the freeway autostrada A7 (Milano-Genova) towards Assago-Milanofiori-Viale Famagosta which ends at Piazza Maggi. At the traffic circle take the 3rd exit on Viale Famagosta, continue straight and at the 2nd signal turn right on Via Lope de Vega. Look for a church with red bricks on your left which is at the corner of Via Zumbini. Turn left on Via Zumbini and you find Zumbini 6 is at n°6, near yellow columns. 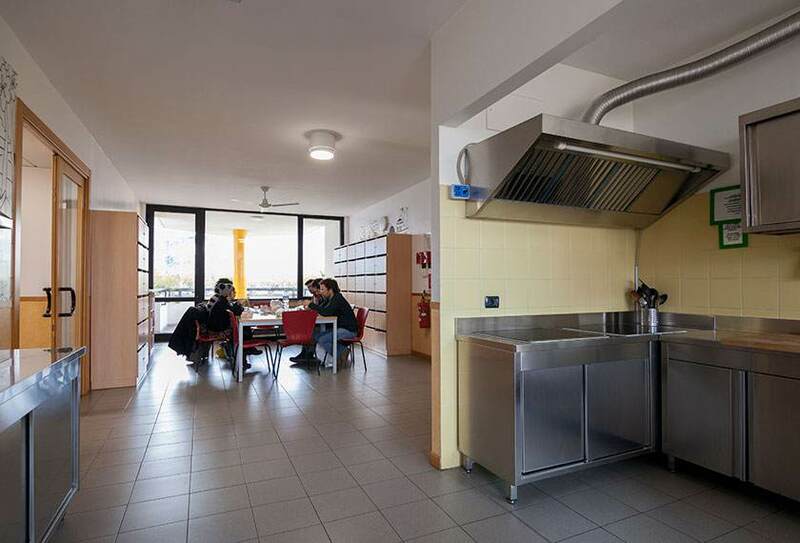 Zumbini 6 is also the ideal solution, as a residence, for students and professors at IULM (Milan's university of modern languages), Bocconi University, the Via Pietrasanta and Via Pompeo Leoni locations of IED (European Institute of Design). 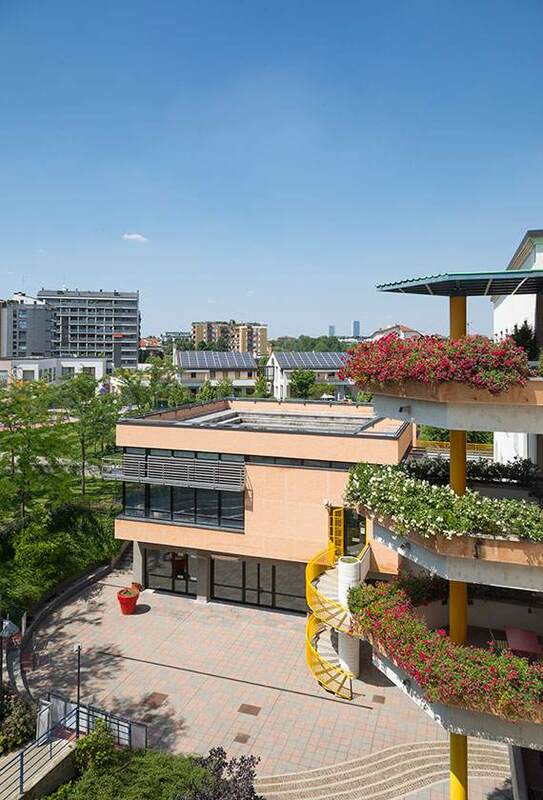 The stops for buses connected to the subway station, Romolo green line 2, are 800 meters from Zumbini 6. With the MM2 green (3 stops) you arrive quickly at the Cadorna / Triennale station (departing and arriving point for the train for Malpensa airport), where it is possible to take the MM1 red subway line for Fiera Milano City (trade show center), Nuovo Polo di Rho – Pero center and the Duomo; or continue for the center of Milan, towards Sant'Ambrogio and Brera – Teatro alla Scala. 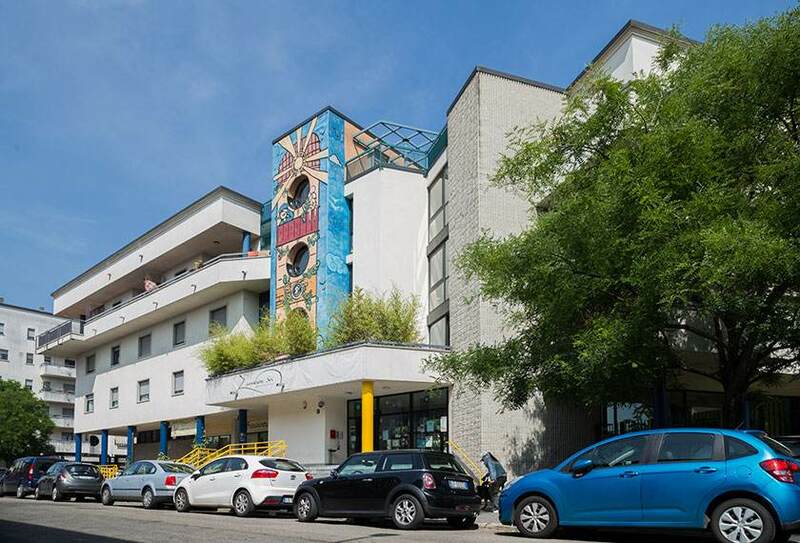 At night, the Navigli, the picturesque quarter famous for its restaurants and clubs which animate the evenings with live music, awaits you just 20 minutes walk away from Zumbini 6.